Thomas Cole. 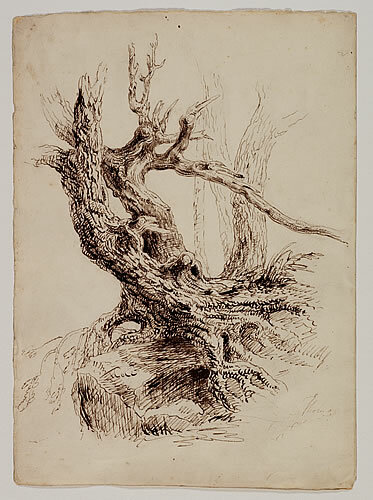 Pen and brown ink over graphite pencil on cream wove paper, c.1826. Detroit Institute of Arts. Founders Society Purchase, William H. Murphy Fund, 39.162.